Sunscape Puerto Vallarta Resort & Spa located in Mexico’s beautiful Puerto Vallarta is the perfect destination for families, couples – anyone looking for fun! With an exhaustive list of activities, games and classes, there’s no way your vacation here will be anything short of electrifying! 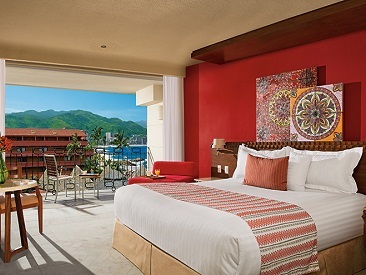 Experience Mexico in the fullest at Sunscape Puerto Vallarta Resort & Spa! Located on an eco-friendly beach with incredible views, this resort combines the best of beach life with the charming Old Town life of Puerto Vallarta. Join in on activities like yoga, tequila tasting and tennis, or get a little adventurours and scuba dive. Visit El Malecón – a boardwalk reminiscent of its legendary Cuban counterpart – with its great shopping, exciting street performers and delicious dining options. Venture even further and explore the jungle and the Sierra Madre Mountains. 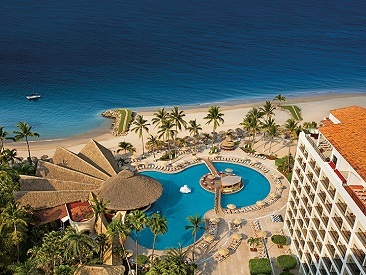 Sunscape Puerto Vallarta has all the fun you can dream of – right on the beach! Sunscape Puerto Vallarta features an All-Inclusive plan where everything you’re looking for in a vacation is taken care of! 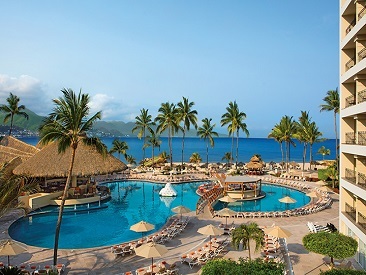 Called Unlimited Fun®, this All-Inclusive plan includes 24-hour access to dining and drinks at six restaurants and four bars, live music and entertainment, the Explorer’s Club for Kids and so much more!